Transport yourself to the banks of the dreamy Danube and experience the magic and music of Vienna. 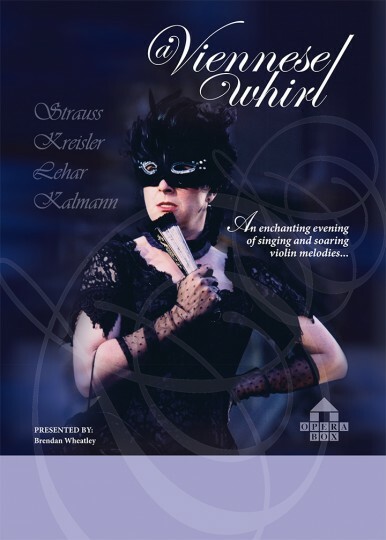 An enchanting evening of singing and soaring violin melodies features some of the most popular and most loved works by Viennese composers: Kreisler, Lehár, Kalman, Johann Strauss and excerpts from well known operettas such as The Waltz King, The Merry Widow, Die Fledermaus and The Gypsy Baron. Accompanied by piano or orchestral ensemble, and hosted by SCO’s charismatic Artistic Director, Brendan Wheatley, audiences are introduced to the music of the Viennese greats sung and played expertly by a top-notch musical cast of tenor, soprano and solo violin. (An)…evening of beautiful music and singing at Barry Memorial Hall. I have always been a lover of Strauss and Lehár and the programme covered all my favourites. The compére Brendan Wheatley made it so interesting, particularly for those who may not be so familiar with the history of the composers. Thank you for continuing to bring this wonderful music to the people.